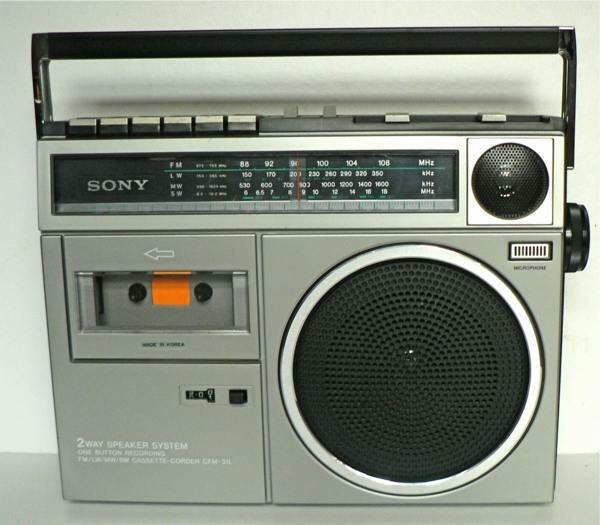 Sony Four band cassette-corder model CFM31L. Push button selection of long, medium, short and FM (VHF) wavebands. Sockets for microphone and earpiece and 5 pin DIN socket. Requires four type D cells or can be operated from 240 volt 50Hz mains supply. Made in Korea working.